Exporter of a wide range of products which include cotton canvas fabric, fire proof canvas fabric and water proof canvas fabric. 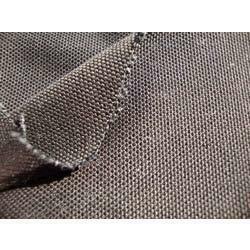 We are well reputed in the domain for our range of Cotton Canvas Fabrics and have carved a niche for ourselves in this service category. These find wide applications as a painting surface in making aprons, banners, fashion hand bags, sails, backpacks, tents and bags. These can also be made s Fire proof, Water proof, Roth proof and Fungus proof.These can also be customized as per clients specifications and conform to international quality standards. 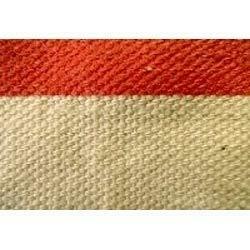 We are renowned as one of the leading Fire Proof Canvas Fabric, manufacturer, exporter & supplier. The assortment of fire proof canvas fabric is specially designed keeping in mind the need for high comfort and regular usage. 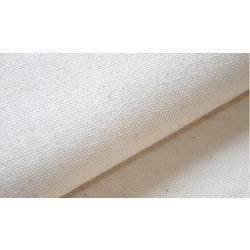 Our collection of fire proof canvas fabric is appreciated for its finest quality material, durable and soft. We offer canvas fabrics at rock bottom prices. Our expertise deceit in offering clients an extensive range of Water Proof Canvas Fabric that are highly demanded in the Indian as well international market. Ideal for industrial use, home and camping purposes our canvas tarp is manufactured with the best raw material available. Our experts also use robust grommets that are attached with the canvas. The best feature of these canvas tarps is that they are 100% water resistant. These provide optimum protection in all weather conditions. Canvas tarps are easy to fold which makes them easily portable. Looking for Canvas Fabric ?